Cuba ready to get rid of rationing? 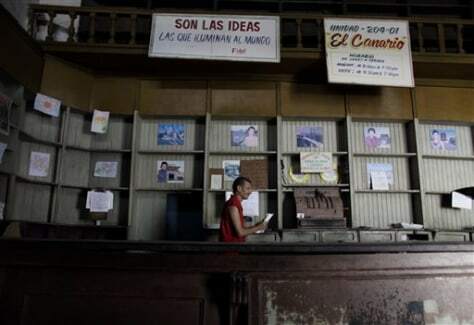 A worker presides over a government food store with empty shelves in Havana on Friday. Scrapping the ration book — presumably in return for higher wages — would be a fundamental shift in the egalitarian communist system established in 1959.